Better Music, Sounds and Voice Implementation in Minecraft! In the current state of the game, Minecraft is missing a lot it terms of music and sounds! 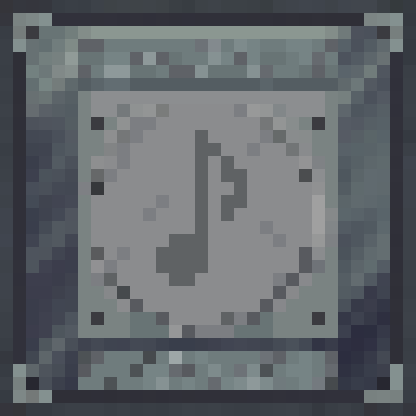 Introducing, Immersive Music, Sounds that are Soothing! - Frame Block : Basic plating block used for crafting. - Note Block : A replica of the Note Block with custom made GUI, a variety of instruments, wide range of notes (over 9 octaves) and real-time MIDI updates! - Midi Block : Play your favourite music directly into Minecraft using a MIDI device! This also includes MIDI files. Extra info : All blocks are located under MISC in the creative tab. Builds might be instable. DO NOT integrate into an existing modpack except if you know what you are doing. Go Wild! As long as you respect the EULA and do not distribute without proper credit. what folder are midi files in? config/ImmersiveMusic/midi_files if I remember correctly. Ok thanks for your help. Do I make a folder in the config folder called "ImmersiveMusic" and then in that folder I put the midi files in? Create the folder ImmersiveMusic, then create a midi_files folder inside it. EDIT: Submitted an issue. Totally understand it is in Alpha, just wanted to make you aware. Also, I know some GUI changes were made but I haven't been able to see them yet. If I could make a suggestion, adding an "X" or "Exit" button to every single menu would be super awesome. Last version of this mod didn't seem to like something about my set up and it became impossible to exit certain menus for some reason. A temporary work around of having a button on each menu to exit it would be very nice. I really hope you continue to develop this mod, I'd love to be able to play midi files on my server, I've already downloaded a few. Really looking forward to it! Does this mod actually add any music files?